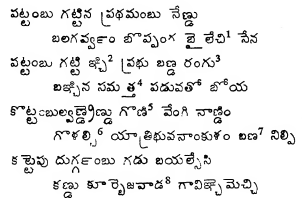 as one of the first and the 600 AD inscription of Erragudipadu by a person of the same clan(both use the title Muthuraju). The second makes more sense, may be because of the language or may be because of the completeness. 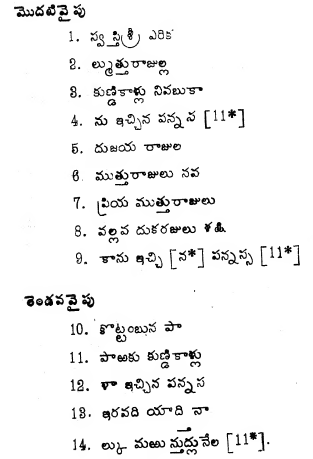 and 930 AD Vijayawada inscription of Yuddhamalla. 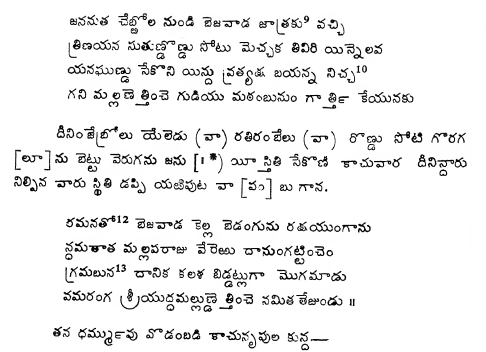 Well, my Telugu is not that strong enough to give a serious translation of these inscriptions and would solicit any sort of help in achieving this. 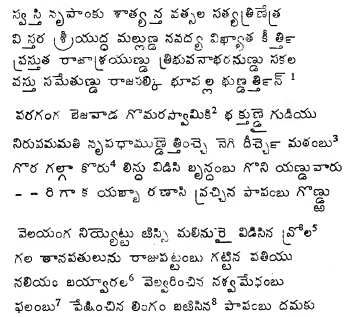 The story completely changed only after Kakatiyas declared independence.